This University/College preparation course extends students’ understanding of computer systems and computer interfacing with external devices. 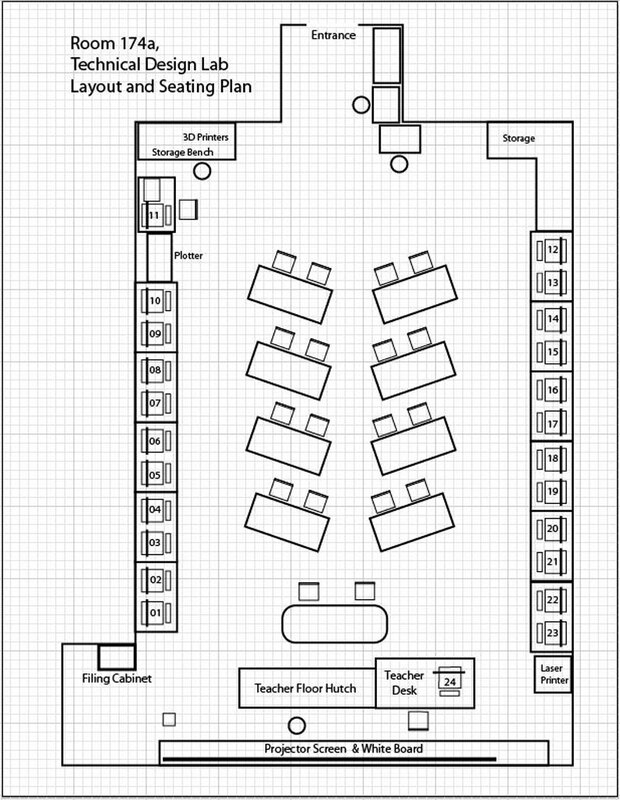 Students will assemble computer systems by installing and configuring appropriate hardware and software, and will learn more about fundamental concepts of electronics, robotics, programming, and networks. Students will examine related environmental and societal issues, and will explore postsecondary pathways leading to careers in computer technology. Focus will support robotics and the Robo program here at Western. The course will be 18 weeks in duration with your final mark made up of a 70% term and 30% culminating mark. This unit will introduce you to the course, class routines, expectations, organization, safety, possible project ideas, and circuit characteristics. Unit Content Activity Quick Links, Click to Jump to Specific Activity! A class of students starting a computer technology/robotics course here at school. Getting familiar with what the course is all about, class routines, expectations of the course and the teacher, general administration of class, and safety are all important to know and understand, so that the learning process can productive, efficient, and effective. It is important that students feel comfortable with the above points and should know what is happening in the course. As a class review the course outline so you can get idea what it is all about. This is a great time to get school supplies, organizes yourself with the course, and get familiar with the program. Using the Intro to Tech handout fill in 10 key components related to the course you can find from the course outline and at the bottom fill in two partners with their contact information. 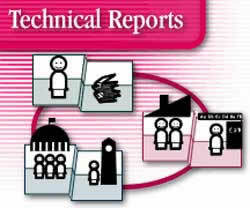 The Tech Info sheet gives a nice overview of many aspects of the course operation, organization, and routines. This is your opportunity to ask questions in class about the course, get to know the instructor, and the room facilities. You will get a general survey to fill in with possible general open diagnostic questions related to the course-units, on the back, as requested by the instructor. Tech classes can be very fun and challenging, but general safety must be kept in mind through-out the course. A general safety presentation will be reviewed to discuss several general safety concerns that students need to be aware of and keep in mind. A general safety contract will also be handed out and reviewed in class to have a clear understanding and agreement to be safe at all times. The room facility is multi-purpose computer lab able to support several course types. 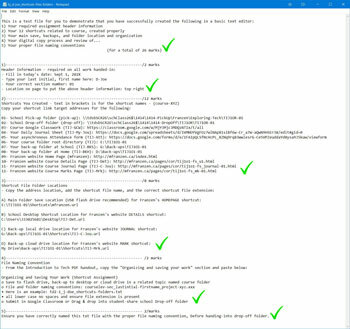 Use and care of computers will be reviewed as this is an intricate tool used with the learning process. One of the first things in class we do is review the Tech Info page, point number 2 above. The top section with 10 blanks is to be filled in with the important things we will cover in this course. You will find this information by reviewing the course outline and listening to the teacher discussing what is happening in the course. The bottom section will also need to filled out with two in class peers for contact information and support with in the class to help foster teamwork and responsibility. 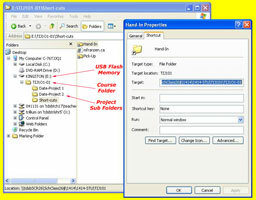 You will also need to create more folders for future projects as you go, to keep your work organized. The intent is to work off of your USB in school and save to your H: drive when you are finished at the end of class as a back-up. This way you can take your work with you and work elsewhere if needed and it is usually faster to access then the board network. Re-name your file according the the section you just copied into your text file, then hand in the hand-in folder for your class using your hand-in shortcut. 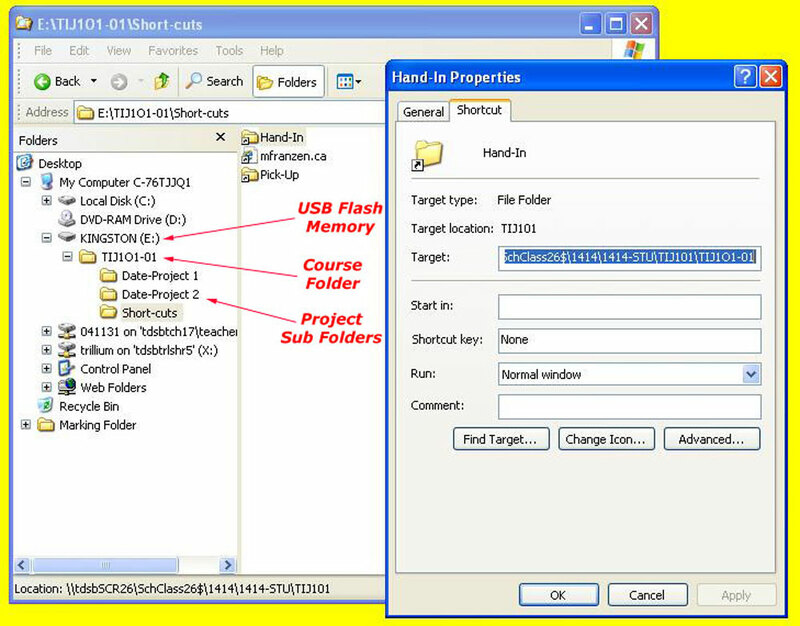 Make sure all work you put in the Drop-off folder shortcut, is saved first on your USB, then drag and drop onto the Drop-off folder shortcut. Trying to save your work directly will result in your file not being saved and not handed in as students do not have editing privileges in the Drop-off folder. Always double check that you have completed all components for full marks. Computers and robots have one thing in common, circuits. Circuits are what drive all of our technology. More importantly electricity is what runs on those circuits making everything work. This is a very simple concept to understand, but in order to work with this kind of technology, such as troubleshooting a circuit problem, a closer look at circuits and how electricity interacts is important to know and understand. Because electricity can not be seen, and is dangerous to come in contact with, using measuring tools tools and some theory, we can diagnose and understand what is happening in a circuit. 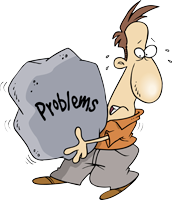 This will allow you to not only understand, design, and build circuits, but also troubleshoot and fix circuits problems. 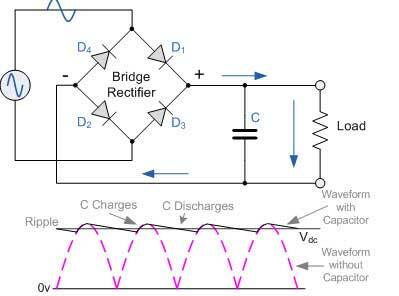 Review the characteristics of electricity and how it flows in circuits (Circuit Theory Presentation). Specifically electron flow, ohm's law , and power in series, parallel and complex ccts. 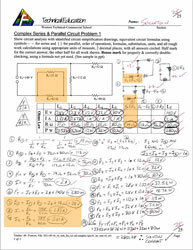 Complete two worksheets on the series and parallel samples, series/parallel with units of measure, complex variable circuit, and a complex cct calculation showing all formulas, steps, and answers. Check out the links below for some great resource support and more information. 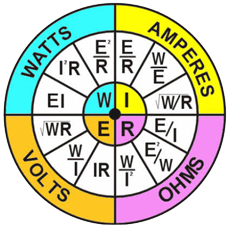 All About Circuits site is an excellent site to learn all about electrical related information. It has e-book sections, worksheets, videos, and a forum. 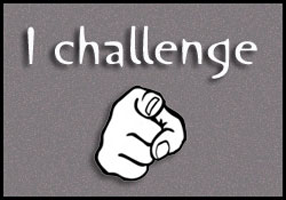 We will be referring to this site for several future project related tasks. 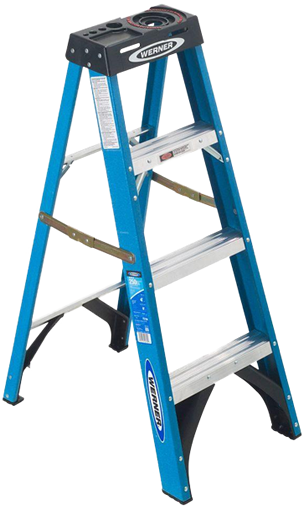 Currently you will find all that is in the above presentation, in more detail here on this site. For the following two types of circuits, you will need to apply ohms law and power formulas to find the circuit unknowns. 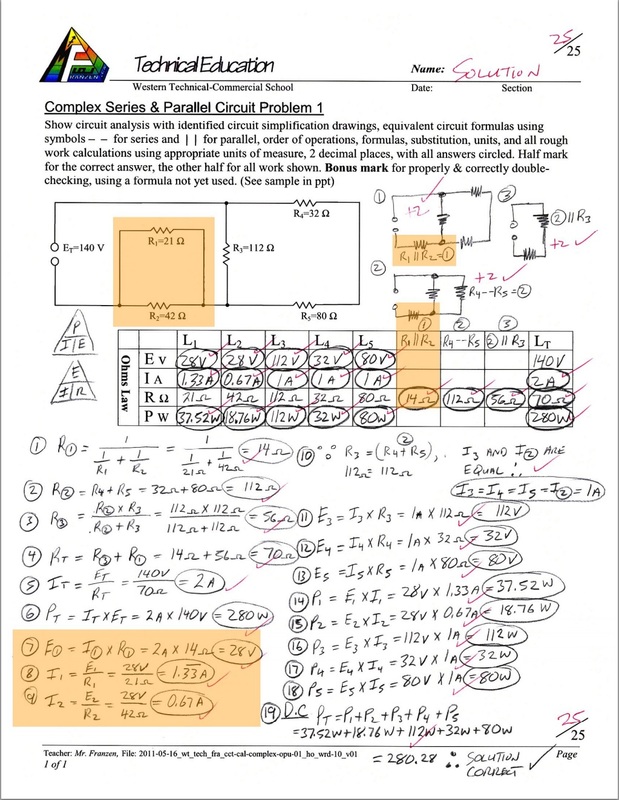 Start with the Series Intro sheet handout and copy the calculation answer format down with pencil to familiarize yourself with the format and review of how to calculate circuit unknowns. The image to the left can be enlarged to see it up close. Pay close attention to the steps and how the circuit was completed. Note all work must be shown when doing these calculations to get full marks, as fifty percent of the mark goes towards showing the process i.e. your steps in how you calculated your answers. Continue with the Parallel Intro Sample sheet handout similar to the above sheet showing all work as in the sample. The key to this is showing your all of your steps, units, and order of operation for all calculations. 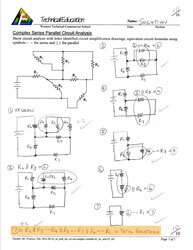 These two samples are very easy, so you may focus on the process of these circuit calculations. Now for some practice, try two Series cct's and two parallel cct problem challenges to fully understand the process and familiarize yourself more with the formulas. If you understand the characteristics of a series and parallel circuits, remembering the formulas will come easy, as most of the effort of remembering the formula's is the understanding. 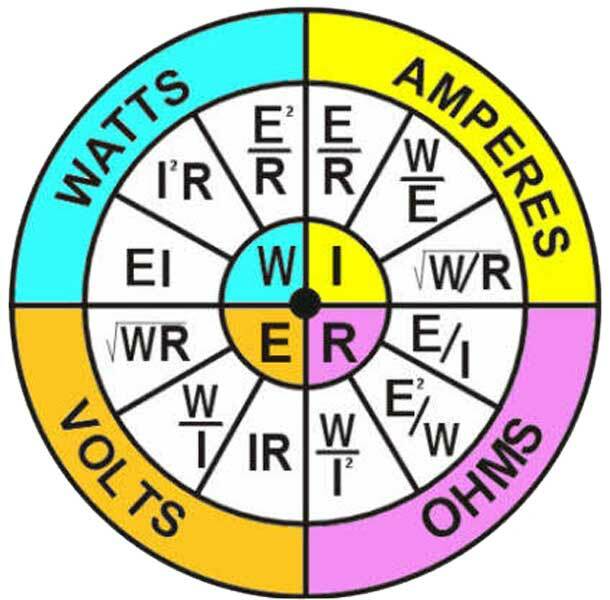 It is very rare that electrical circuits have easy numbers to work with. In fact a lot of time in electronics, some numbers you work with will be either be very big or very small and that is where units of measure come in. As reviewed in the above Circuit Theory Power Point presentation, and the next handouts includes this, so you will need to apply Units of Measure rules when numbers are either really big or small. We will use mainly kilo and milli to express and simplify really big/small numbers, always to two decimal places. Remember, when working with different units of measure, that those numbers in a formula calculation must be all the same when making those calculations. 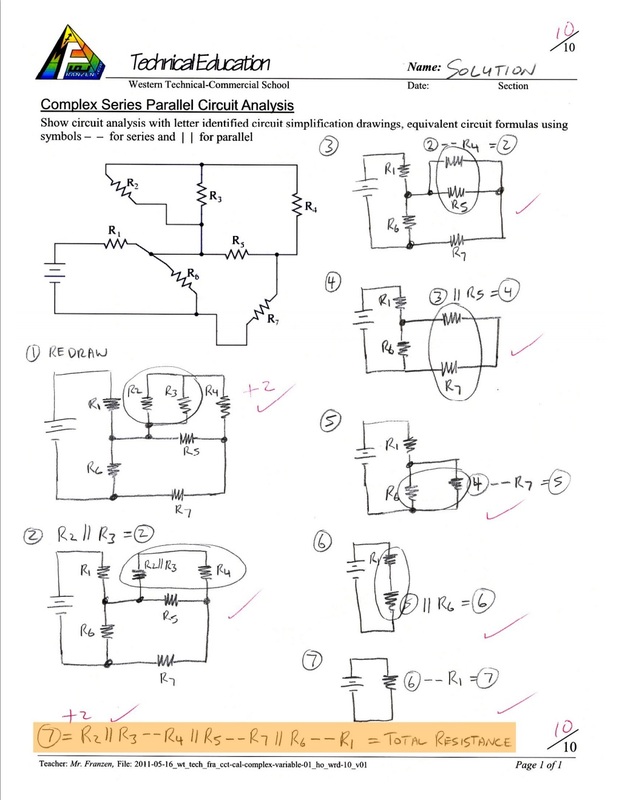 For practice, try another Series, Parallel Circuit Problem 01 challenge, giving you a chance to try out different formulas because of different values given so that you ensure you understand the formula's and calculation process before proceeding to the analysis and calculation problems below. Two tips here: when working out total resistance in a parallel circuit, the total resistance should be less than the smallest resistance load value in that parallel circuit. Also when finding total resistance using the parallel resistance law/formula, it is very handy to use the 1/x button while doing those calculations, so look for one of those 1/x buttons to make calculations simpler with fewer key strokes. 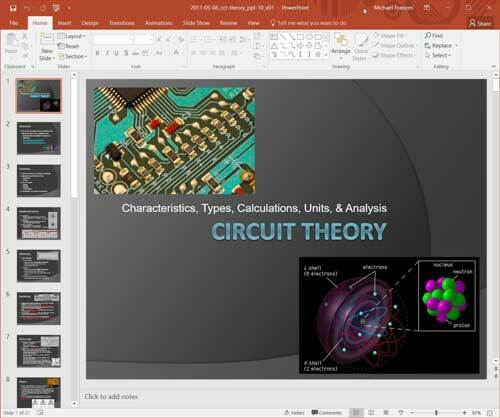 Referring to the above Circuit Theory Power Point presentation, you can follow the complex circuit breakdown analysis. For the sample to the left, note how the circuit drawing is simplified each step from a to e. These steps are explained in detail here if you wish to review it one more time. Your first assignment Complex Series/Parallel Analysis Variable will be to analyze and simplify the circuit without calculations. Simplify and redraw the circuit however many times you need to get a final complex statement using letter variables. Although not shown in sample, use different brackets to show variable order. Your next assignment Complex Series/Parallel Analysis and Calculations you will do the same and additionally calculate all the unknowns using ohms law, power, series, and parallel formulas, calculations, circuit diagram simplification and circuit analysis. Use the sample to the left as an example of process and expectations for your circuit challenge problem. Each circuit assignment problem must show all work to get full marks and once taken up in class, 50% of the lost marks can be reclaimed that day, by showing the corrections completed on a separate area with a different coloured pen with a title above stating "Corrections @ 50%". A computer technology engineering class of students are learning about design process, computers, circuits, electronics programming, networking and interfacing as part of the course have started with circuits and need to continue with other components of the course. 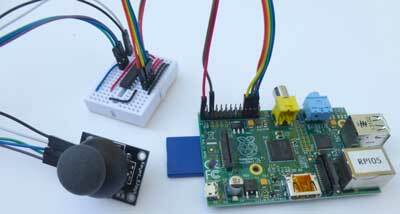 By using a RPi (raspberry pi) along with course related components will allow students to design and build customized projects based on their interests. Through research and selection, students can learn more about requirements and how to complete related projects. Project ideas can be based on projects already done, combinations or partial projects done, and/or completely new ideas that are practical and realistic in expectations. 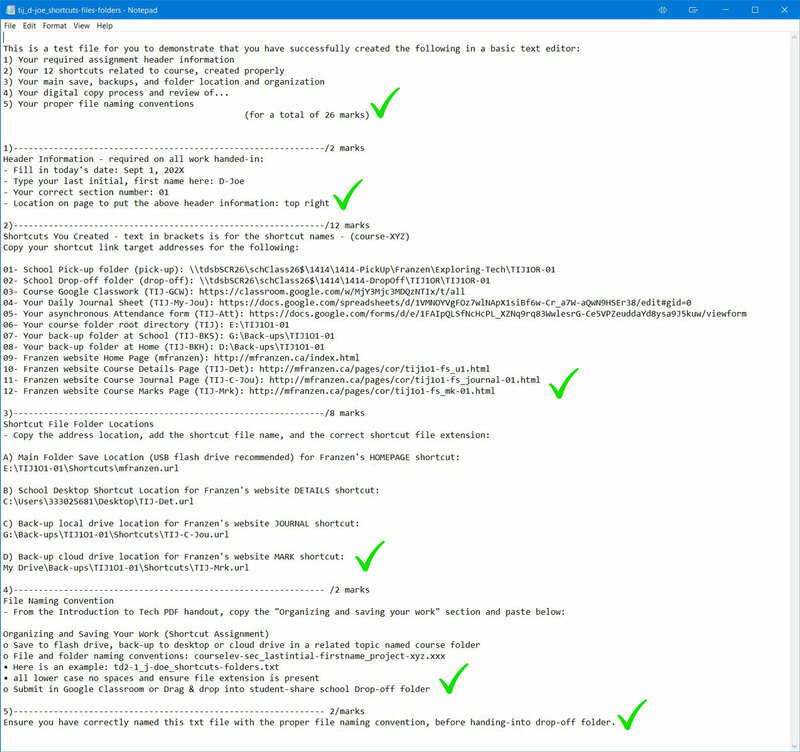 These projects must be in your own words summarizing with the highlights and not copied from a source document/tutorial, and be supported by images. 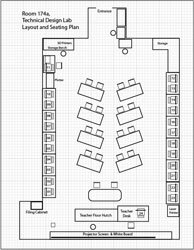 Once complete, students will present their project ideas to the rest of the class to share and possibly support further possibilities and interests. Different projects can be all relative to each other, so the intention for a simple beginner level project, think low number of common inputs/outputs, minimal programing, and little if not any networking. Intermediate would have several inputs/outputs including some different types, moderate programing code, and may have some networking. Advanced project levels would include many inputs/outputs and of different types, programing, and networking involved. 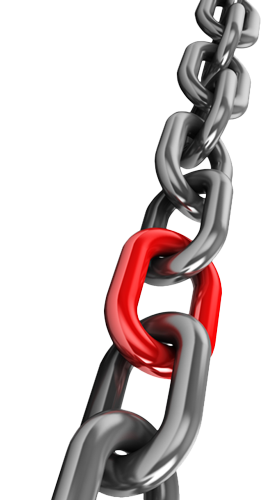 Another factor is the amount, size, and/or scope of the project, will add to the complexity of the project. Smart mirror - news, searches, feedback, weather, time, agenda, etc. 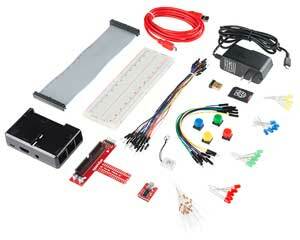 Small robot - servos, sensors, lighting, etc. Home Automation - sensors, voice, time, control lighting, blinds, coffee, heating, security, plants, media, etc. Game emulator - hand held, desk, station, etc. The following is a breakdown of marks related to this custom project report and presentation project.